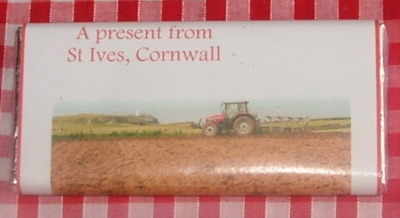 Photo chocolate wrapper with scenes of Cornwall. Front and back can be personalised with wording of your choice. DIABETIC bar - 100g (rectangle diabetic milk chocolate) - £3.00 each.